As a recent study has shown, Google and Facebook apparently track every single thing you do on the internet. Internet privacy seems to be a myth now. There are Google trackers on almost every website that you visit, and these trackers are hidden. What you do on the particular site, the products you view, the blogs you read – the websites track and record everything. Such data is useful for marketing purposes. To maintain online privacy, you need VPNs. How many times have you briefly gone to a website on the internet, only to see its ad cropping up on your Facebook timeline? Haven’t you ever thought how that happens? Well, this is because of Google and Facebook trackers. And that is why it is said that the internet privacy is an illusion these days. It does not matter if you are not logged in to your Google account. Even if you use a Google webpage, Google gets access to your IP address. Hence, finding your geolocation is a piece of cake. Additionally, they can monitor the pattern of your online activity, how you are using the internet services, the kind of ads you are viewing, the device you are using, the server information, and so on. That is a lot of personal information to give up. One of the most important information that Google obtains is personal preferences. This means Google tracks what you most like to do online – the kind of websites you like, the products you want, and so on. Accordingly, the data is accumulated, and data profiles are made. Based on your preferences, you will be shown ads and links to websites and products. You should also update your privacy settings from time to time. That would ensure that everything is up to date. For example, you can manage your privacy setting in Google Chrome. This allows you to choose what type of data Google can collect, or what information you want to share publicly. Therefore, keep a check on your privacy settings from time to time. One way of doing so is using a VPN. The VPNs route off your internet services to a different geographical location. A VPN service would also ensure that your data is completely safe. VPNs use an encrypted channel to transmit data. When we say that your data is encrypted, it means that your data can be decrypted only when it reaches the destination. 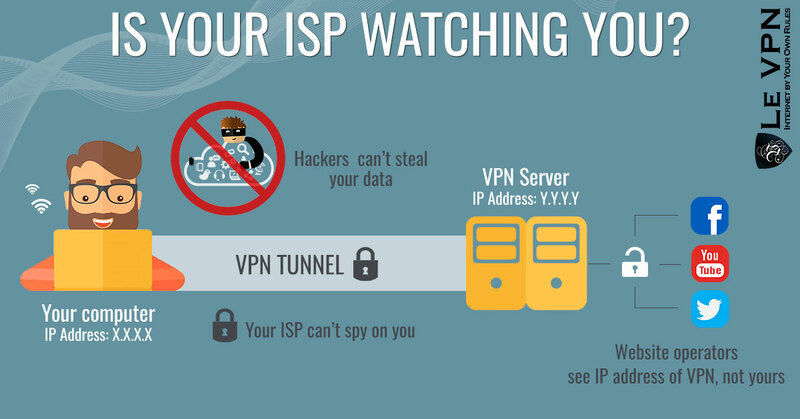 VPNs would make sure that not even your internet service provider can track your online activity. Le VPN allows you to mask your IP address. You can simply use Le VPN’s IP addresses from 114 nations. Once you replace your original IP address, no one will be able to track your whereabouts. Also, Le VPN is among the reliable VPN service providers in the market today. You can manage your privacy and anonymity on the go with Le VPN’s VPN Android app. VPNs are the best way of keeping Google from tracking your online activities. Using VPNs would be a step forward towards internet privacy. Subscribe to Le VPN.